Three fixtures are in focus for our Gameweek 3 player picks. Which of the Gameweek 3 player picks will provide the best potential for goals, assists and clean sheets? Our Gameweek 3 player picks are brought to you by Starting 11. It is a Daily Fantasy Premier League football app, which has grown in popularity amongst the FPL community this year. You can select a team without any budget constraints and battle against others. You can challenge the community by downloading the FREE App on Android or iOS and create a team. Mo Salah has had a lively start to the season, but has underperformed a little so far. He’s growing into the season and is expected to take his chances in this game. He’s a worthy captain. Keita has got off to a great start, looking like a valuable asset in the midfield. He’s had plenty of chances in front of goal in the opening games and it looks inevitable that he will convert them this week. Back to back clean sheets, leave Liverpool with the best defensive record in the league. Robertson has plenty of attacking potential and Allison made some great saves in the Crystal Palace game. Load up. Goals are on the agenda in London this Saturday, as these attacking teams meet: expect both teams to score with these assets involved in the goals. 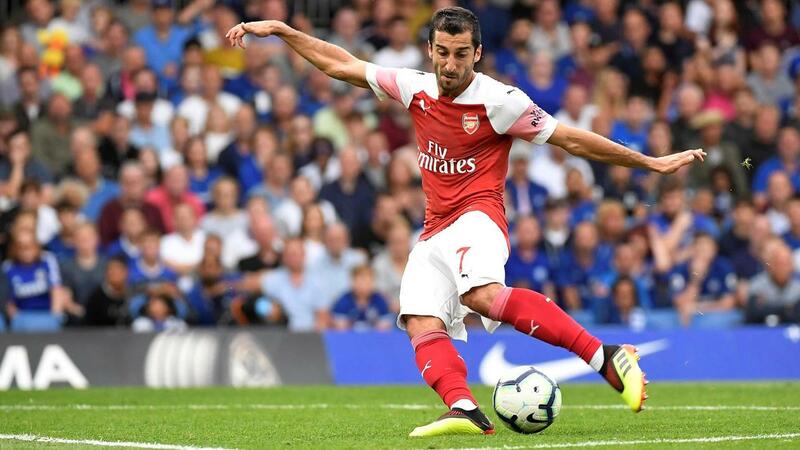 Mkhitaryan eventually demonstrated against Chelsea that Arsenal have plenty of attacking threat, with the playmaker central to most things. Aubameyang has been disappointing so far, but looks sure to break his duck here. 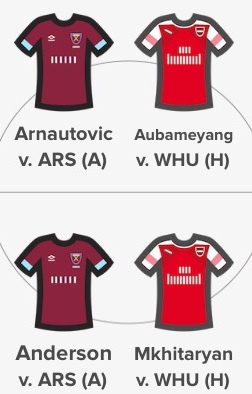 For West Ham, Arnautovic appeals with his penalty duties, plus he looks to be the most likely scorer in this side. Anderson has managed to create plenty in midfield, but without success as yet. Could this be his week? Chelsea are the best bet for a clean sheet this weekend, as they travel to a Newcastle side who are already struggling in the Premier League. The full backs look crucial to Sarri’s system, with Alonso and Azpilicueta capable of delivering attacking returns alongside clean sheets. Luiz points will be boosted by important clearances, blocks and interceptions. BEFORE YOU GO…. If you’re interested in playing Premier League Daily Fantasy Football with us and many other community members this season, please download the FREE Starting 11 app today by clicking the banner below. Take advantage of their current offer, receive a retro football shirt, just by entering a £5+ cash contest. It’s too good to miss!